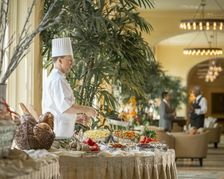 Hotel Galvez & Spa®, A Wyndham Grand® Hotel, has embraced the tradition of a classic hotel’s Sunday Brunch while keeping the menu fresh and appealing. 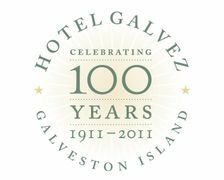 The only historic beachfront hotel on the Texas Gulf Coast - Hotel Galvez & Spa is an integral part of Galveston’s history and a symbol of the community’s resilience following the 1900 Storm. 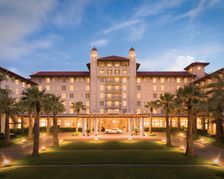 From grand receptions of 500 to intimate exchanges of vows and horse-drawn carriages, Hotel Galvez & Spa makes every bride’s day perfect. 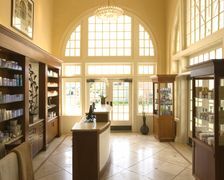 Situated along the Gulf Coast beaches, Hotel Galvez offers couples a rich, elegant setting for a destination wedding. 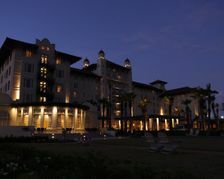 Gracing the coast of the Gulf of Mexico since 1911 is the renowned “Queen of the Gulf,” the Hotel Galvez & Spa®, a Wyndham Grand® Hotel. 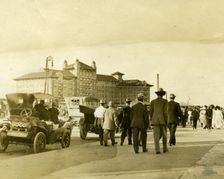 A group of businessmen pooled their resources after the 1900 hurricane and opened the Hotel Galvez in 1911 as a symbol that Galveston Island had not only withstood the devastation of the Great 1900 Storm, but had returned to its pre-hurricane glory.